Today’s post is a guest entry from Aron Susman of SquareFoot.com. 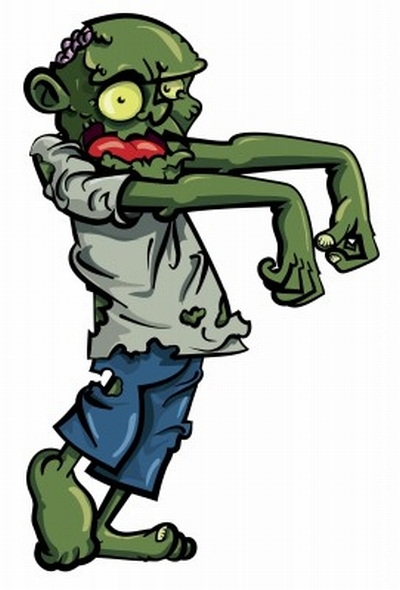 Given we don’t cover a lot of commercial real estate blogging, I couldn’t say no when he offered up a post on the topic – plus he mentions zombies. Blogging about commercial real estate isn’t always easy. Only industry professionals typically care about transactional info, and more often than not, the good ones know about them before they get blogged. Unless the topic is about a huge brand name relocating or coming to a neighborhood near you, no one outside of real estate cares! So how do you hook the everyday reader and get them coming back to your blog for more? Unless the topic is about a huge brand name relocating or coming to a neighborhood near you, no one outside of real estate cares! First and foremost, create engaging content. The more pictures, the better. Our Office Space Of The Week posts, which feature pictures and a short write about of unique office space, generate a ton of visits to SquareFoot’s blog. We learned that as boring as commercial real estate is, people liked seeing cool office space. Written or video Q and A posts always generate interest, especially if it’s with someone notable. An industry thought leader, the CEO of a well known company or innovative start up, or horror stories from a former real estate buyer, seller, or lessee all typically drum up interest. Be visual. EVERYONE LOVES INFOGRAPHICS. Good Infographics have a much higher probability of getting shared and going viral than a written blog post. If you want to blog about something transactional, use an infographic with trends, analytics, and comparisons to help readers visualize the impact of what’s going on from a real estate perspective. Our co-founder Aron Susman created this infographic on Apple retail store’s impact on real estate and it was shared over 40 times in a week. It’s obvious why, everyone loves Apple and seeing some of its real estate related figures was unique content. Getting readers engaged in commercial real estate content is all about adding color, visualization, imagination, and personalization!